Our review: Light golden straw in color, this wine has a pleasing blend of tropical fruit and grass aromas, with slight herbal, almost honey, notes. The initial impression on the palate is one of highly unbalanced acidity, very tart and not the fruitful citrus kind. That quickly passes, leaving a slightly sweet, tropical fruit flavor behind. The finish has a honeyed butter character. 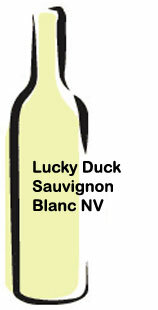 Our rating: We can locate no information about this label's very inexpensive line of wines. This particular varietal isn't all that great, but is rather unusual (and not necessarily in a good way), with a rapid cascade of flavors and sensations. It's not a bottle we'd serve to guests, but as an accompaniment to a quick meal, it's not all that bad. On the score sheet it rates Below Average to Inferior, but with a price of $4, its value score rates much higher. 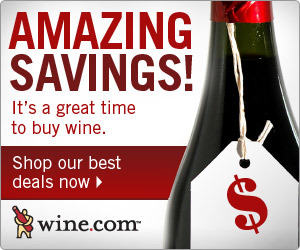 Good wine for the price. If it is not to one's liking for a glassful, it is definitely great for cooking. But as a cool glass of a light white for summer, and there are alot of guests you don't want to spend alot on, this wine is a well kept secret. Cheap wine hangover! My husband and I ofter drink a bottle of wine at a time, roughly 2 glasses a piece, over a nice meal. We wanted to save a buck and found this wine at Walmart. We both woke up in the middle of the night with horrible headaches and nauseas stomachs. Generally, wine doesnt have this effect on us. If going cheap, Trader Joes has the best deal and quality. I agree with the August 10th comment completely. And for the March 23rd comment, I have to think it was the food, or circumstances of the day, and not the wine that caused their stomach problems.